York Green Party shared a post. Save on 'popping out to buy milk' and use returnable bottles instead of single use plastic!Great news our doorstep delivery service is now 95%Plastic Free. 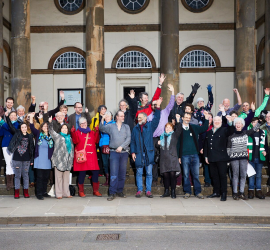 We aim to increase our number of councillors from the four currently held across three wards of the city, and another Green councillor for #Micklegate can make the difference. 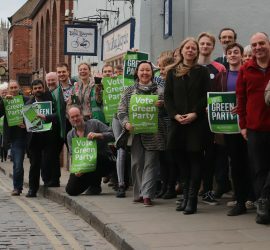 As many voters are disillusioned with the main national parties and locally they are distracted by infighting and political point scoring, Greens have the best chances ever to make a positive change for York. York Green Party shared a photo. MONDAY (15 April) at 5pm is the deadline for postal vote applications. Visit www.york.gov.uk/ElectionsInYork for further information. The first priority of a government is the security of its citizens. Ecological breakdown is threatening us all & government is not taking the required action. So, as citizens, when faced with a government that holds our future in contempt, we must Rebel. Mental health problems affect everyone, but especially young people. 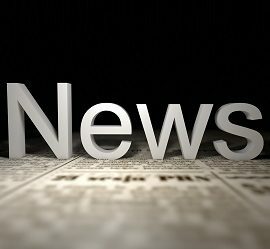 The WHO has said that 1 in 5 adolescents may experience a mental health problem in any given year.